Kylie Jenner and Tyga have called it quits, but the celebrity break-up hasn’t been easy. According to EOnline.com, both exes have been seeing other people. Jenner has been linked to musician PartyNextDoor while Tyga has been seen with lingerie model Demi Rose Mawby. In celebrity news, Jenner has taken to PartyNextDoor to distract herself from the celebrity break-up. An insider of E! 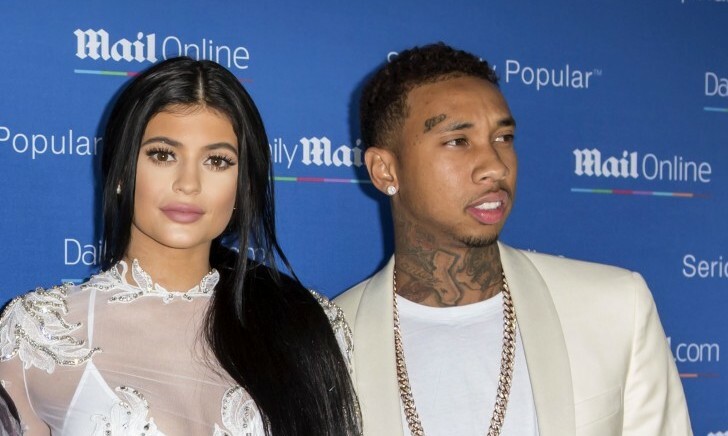 says, “This is the longest Kylie and Tyga have gone without speaking. Friends thought this was going to last a week [until] they got back together, but both sides think this is permanent now.” Unfortunately it doesn’t look good for these celebrity exes. Not all celebrity news is positive. What are some ways to stay strong after a tough break-up? 1. Friendship: Keep your friends closer as you struggle with a break-up. If they’re good friends, they wont say ‘I told you so’ and will one hundred percent back you up. Regardless of the situation, they should take your side. 2. Positive Energy: Be positive in the face of a break-up. Use the philosophy: when one door closes another opens. You will get through this and soon it will be a distant memory. Don’t let it drag you down. 3. Time: All you can do is wait it out sometimes. Moving on means taking the time for yourself and the time to reevaluate. In the end, it’s not worth dwelling on it and it’s for the best. Break-ups can be a long process but you can handle it! Do you know how to stay strong after a break-up? Comment below!